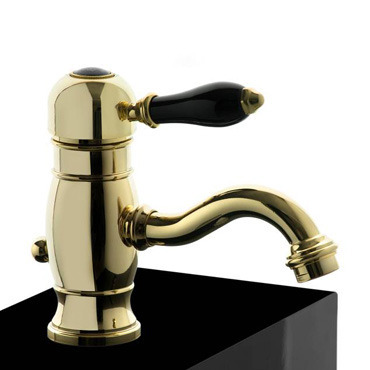 The Melrose 71 collection of single-control mixer taps evokes the romantic charm of the past, combined with the qualities of modern technology. 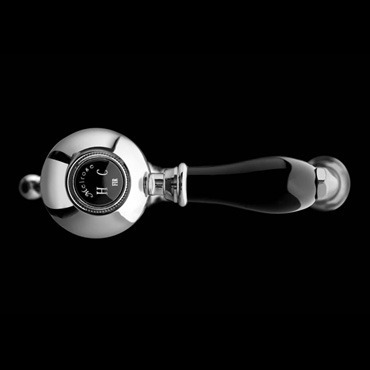 Each Melrose 71 tap is distinguished by its handle with two ceramic inserts: the lever that regulates the water flow and temperature and the plaque displaying the letters “C” and “H” for Hot and Cold. 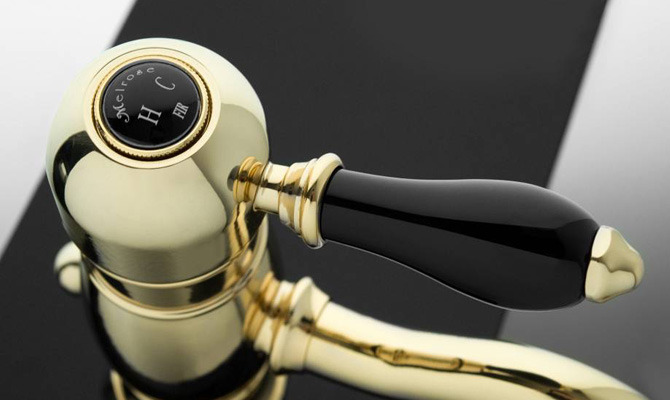 Among the available finishings for the Melrose 71 collection, those which stand out the most are Chrome & Black Ceramic, with a juxtaposition between the chrome surface of the body and the black ceramic detail on the handles, and Antique Gold & Brown Ceramic, which combines an antique gold body with brown ceramic detail. 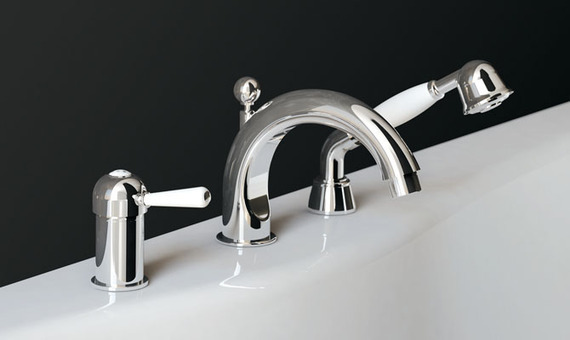 For the bath area, Melrose 71 collection provides, in addition to wall-mounted solutions, deck-mounted two and three-hole bath sets. 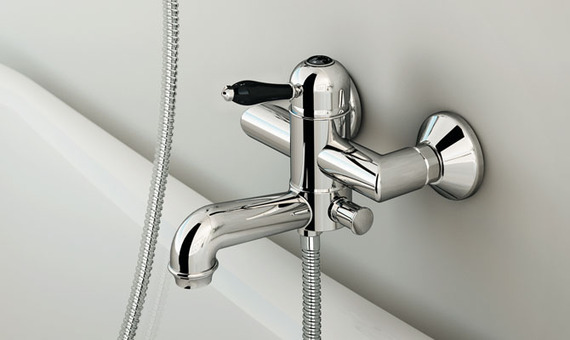 Three-hole deck-mounted bath mixer with diverter and shower set. 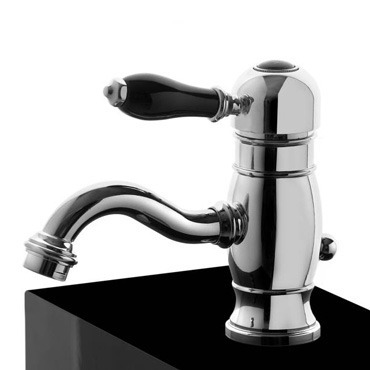 Wall-mounted water spout 3/4'', center distance 160 mm long.